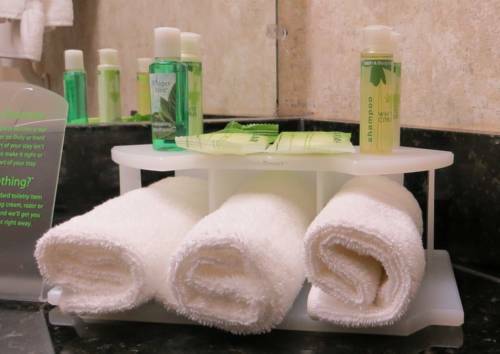 Hotel's Boonville Location Charms GuestsSituated in the beautiful and culturally vibrant Missouri River town of Boonville, our hotel's location just three miles from downtown allows guests to experience the area easily and comfortably. The Holiday Inn Express Boonville hotel is just off I-70 at exit 101; we're a few miles from major local businesses and attractions and 25 miles from the University of Missouri Columbia.Fun attractions abound in Boonville, Missouri. The hotel's location near Main Street puts guests near great shopping and restaurants. Your family can enjoy a living history tour of the town, see the Clydesdales at Warm Springs Ranch during the months of April through October or go biking along the scenic 225-mile Katy Trail.The Hail Ridge Golf Course and Les Bourgeois Vineyards and Winery are nearby.Corporate travelers can work conveniently in Boonville with our hotel's free high-speed, wireless Internet access and 24-hour Business Center. Our hotel's location off I-70 makes it easy to get to Boonville businesses for meetings. We are directly next door to Caterpillar and Arby's restaurant.After a full day, you'll love relaxing in the whirlpool tub. You can wake up every morning with the free, hot Express Start Breakfast Bar and our world-famous cinnamon rolls. If you're traveling to Boonville, Missouri, our hotel's hospitality and prime location are just what you need! Jefferson city and sadaliaAmtrex train service available from Jefferson city and Sadilia. University Of Missourimissouri state university is just 25 miles from here.Take exit 127 from I-70 and take right on the road. Isle of Capri CasinoIsle Capri Casino located on the Missouri river of Boonville historical town. Have good restaurannt and 800 slot machine.Run shuttle servce to all hotel. They have hotel too. Arrow Rock Lyceum TheatreDifferent kind of drama every week end in summer. Les Bourgeois VinyardsOne of the best winery in the area.